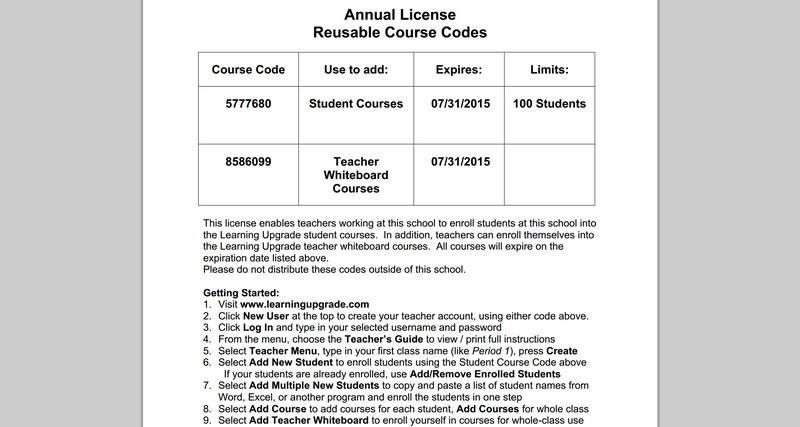 Congratulations on receiving your Learning Upgrade license codes! This guide will walk you though all the steps to have your classroom up in running today. Using this guide, you’ll be able to have your students playing our courses in a few minutes! 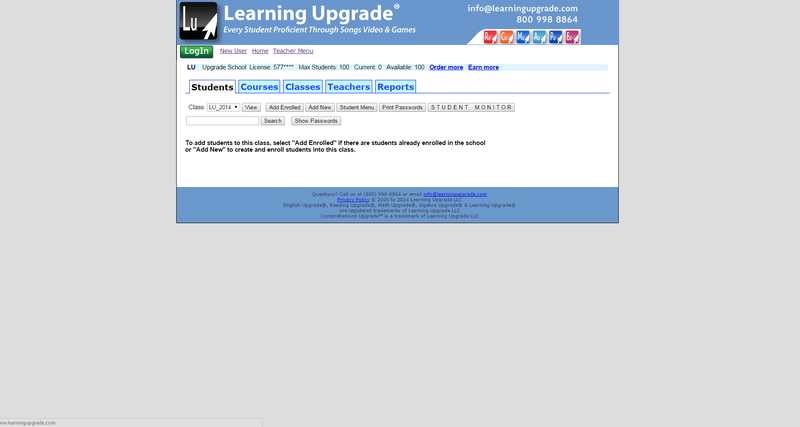 Step 4: Once you’ve logged in, you will see the Teacher Menu. 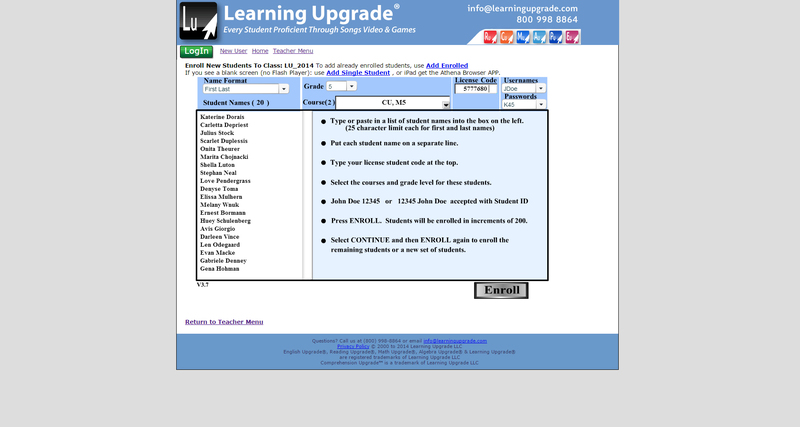 Click on ‘Add New’ to begin adding your students. 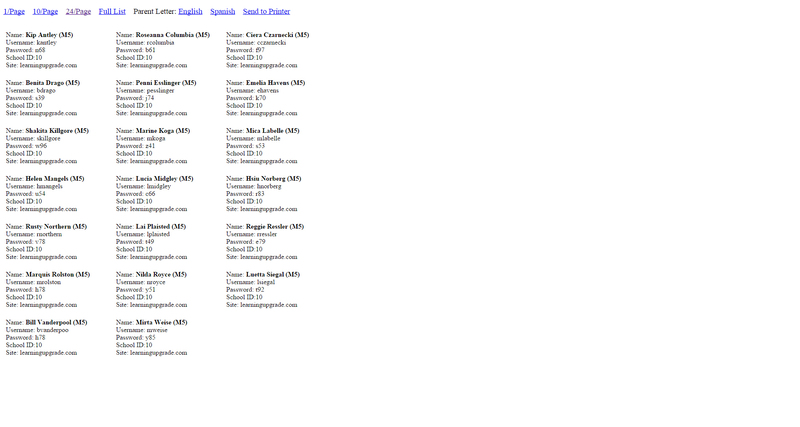 Step 5: Add your student names to the white column on the left hand side. Select their grade level, desired courses, and enter your student license code. Click ‘Enroll’. 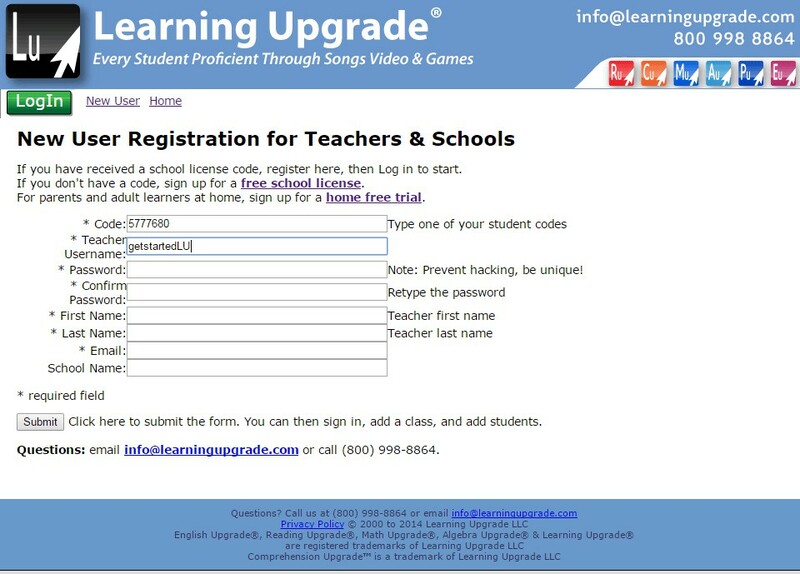 Step 7: Give your students their usernames and passwords. 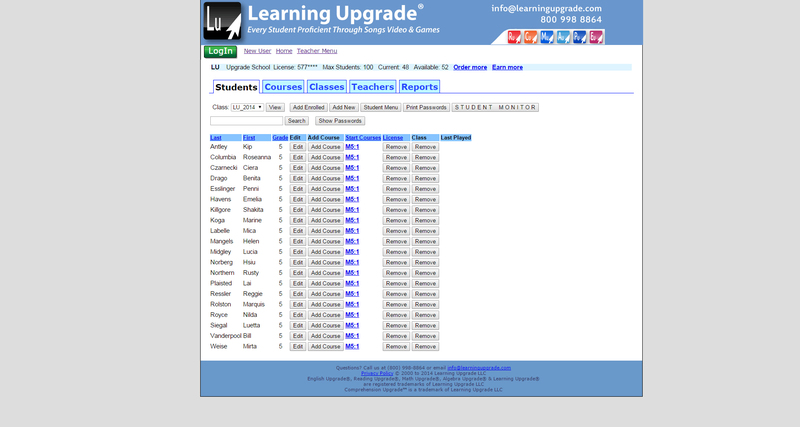 When a student signs in, she will see her courses with a start button next to each course. 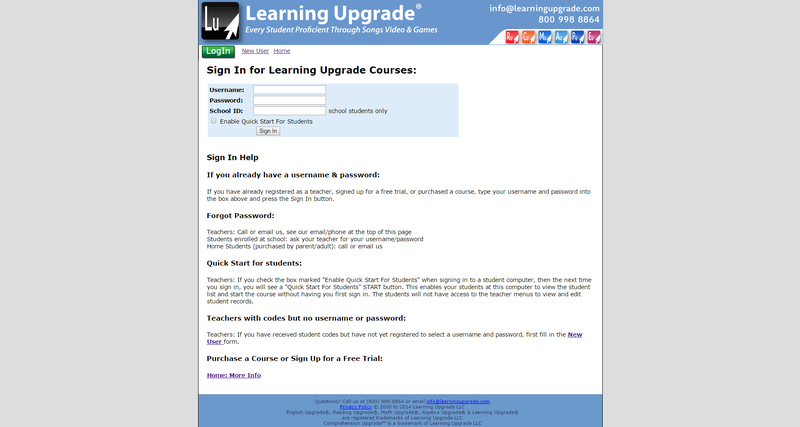 Your class is ready and your students can now log into use Learning Upgrade! Congratulations! !